CoinFest goes into its fourth UK round on April 4th, 5th & 6th of April. Crown will attend CoinFestUK 2019 in Manchester on April 4th, 5th and 6th, a free event organised by CryptoBatesGroup that hosts a range of free workshops, speaker presentations, exhibitions, games, music, and art works. Crown Platform is co-sponsoring the event for the second time after having successfully attended the 2018 edition. 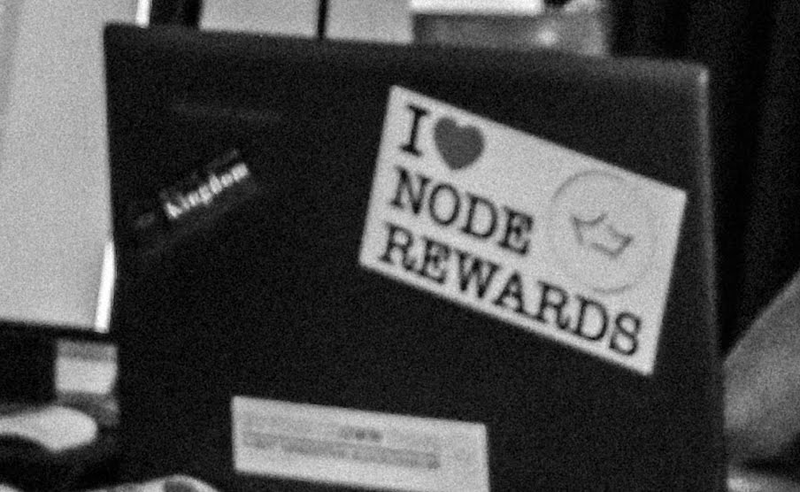 Headline sponsors are MonetaryUnit and ETHBITS. This year, Crown has again been granted a speaker slot in which Jose Herranz will focus Crown Platform functionalities and explain Artem’s new non-fungible token (NFT) framework, exploring potentialities and differences to other NFT solutions. 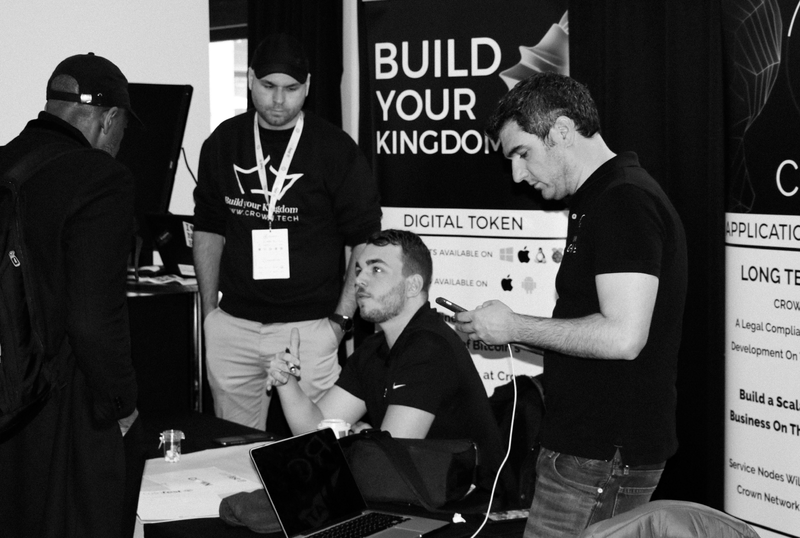 Crown Platform has grown and matured since its last visit to CoinFestUK and the key-note will be a great opportunity to present these novelties to the public. 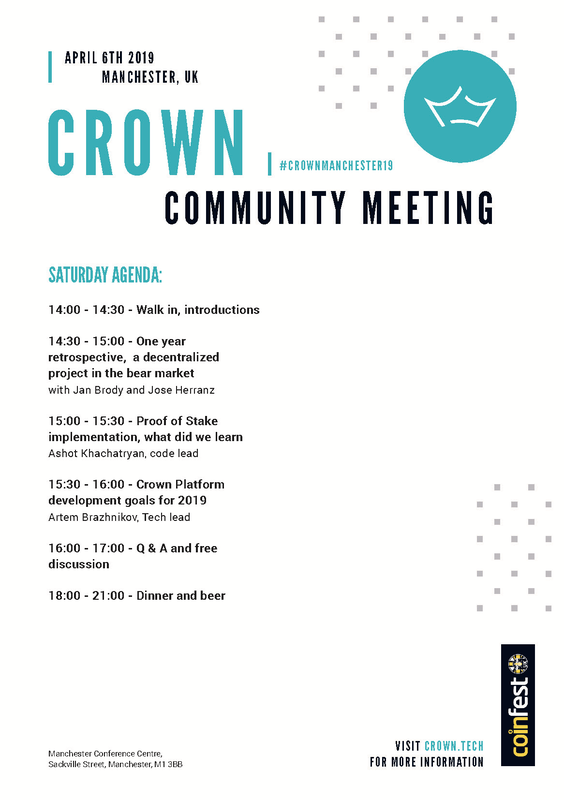 If you have any questions about the #CrownManchester19 Meetup or would like to meet the Crown contributors during CoinFestUK to discuss partnerships or simply say hi, feel free to write an e-mail to info@crown.tech and we will be very happy to get to know you! We are really excited about this new international adventure and can’t wait for the fun to begin. Catch you all there!